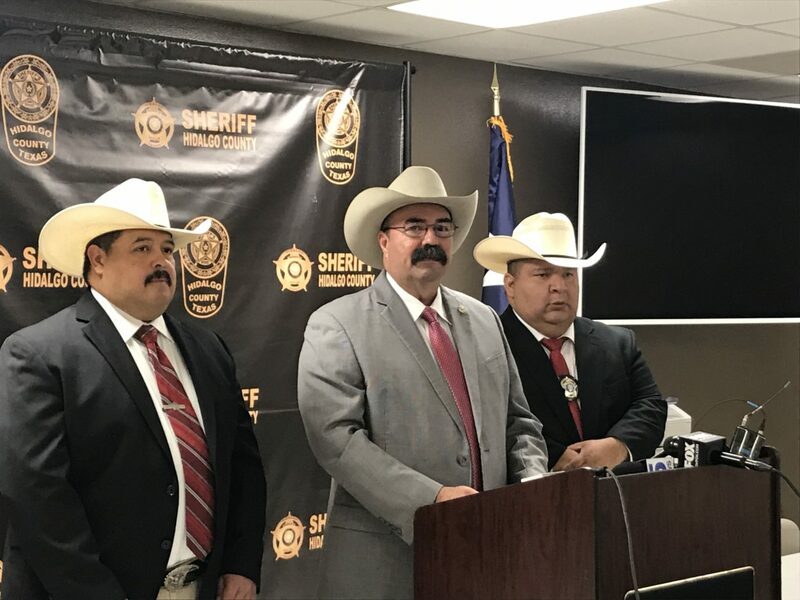 EDINBURG — The Hidalgo County Sheriff’s Office has charged a 16-year-old with capital murder, the first time a juvenile has faced a capital-level offense since Sheriff J.E. “Eddie” Guerra took office nearly five years ago. In addition, the juvenile faces a charge of criminal attempted capital murder in connection to a stabbing early Sunday morning that left one man dead and another in critical condition. The stabbing occurred at Pollos y Costillas Asadas Estilo Veracruz, a restaurant located at the corner of Val Verde and Alberta Road in rural Donna. It is the first homicide sheriff’s deputies have work since the start of this year. According to Guerra, sheriff’s deputies were called to the establishment at approximately 3:45 a.m. in reference to an aggravated assault. Upon arrival they found 69-year-old Arturo Hermes Hernandez dead from multiple stab wounds and a 21-year-old man in critical condition; both men are employees of the restaurant. The 21-year-old identified the suspect, who Guerra said lived in the neighborhood and was a frequent patron. Upon being taken into custody, the 16-year-old allegedly confessed to the stabbing, the sheriff said, noting the teenager “broke in through a window with the intent to rob the business.” The teen is accused of stealing an undisclosed amount of money and using a large knife, which was found in the restaurant, to stab the victims. The 16-year-old is in the custody of the Judge Mario E. Ramirez Jr. Juvenile Justice Center in Edinburg. Guerra said his office will ask the Hidalgo County District Attorney’s Office to certify the juvenile as an adult. If convicted as an adult, the juvenile could face up to life in prison as opposed to the 40-year maximum sentence reserved for juveniles. “Of course that is up to the district attorney’s office to do that,” Guerra said. He could not discuss whether the juvenile has a prior criminal record, as that information is protected under law from public disclosure for minors. The sheriff did note the juvenile is a ninth grade student at Donna North High School. The investigation remains ongoing, the sheriff said, urging anyone with information to call HCSO at (956) 383-8114.